Here is a news that will make Mac users happy. 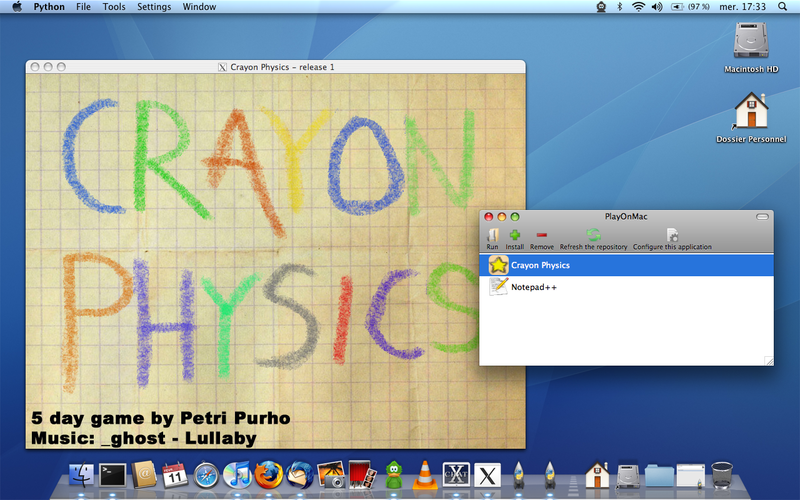 Today, PlayOnLinux releases the first beta of PlayOnMac, a version of PlayOnLinux specifically designed for Mac OS. This version works perfectly on Leopard. It should also work on Tiger, as long as you've installed python, wxpython and X11. You must have a recent mac with an Intel CPU. 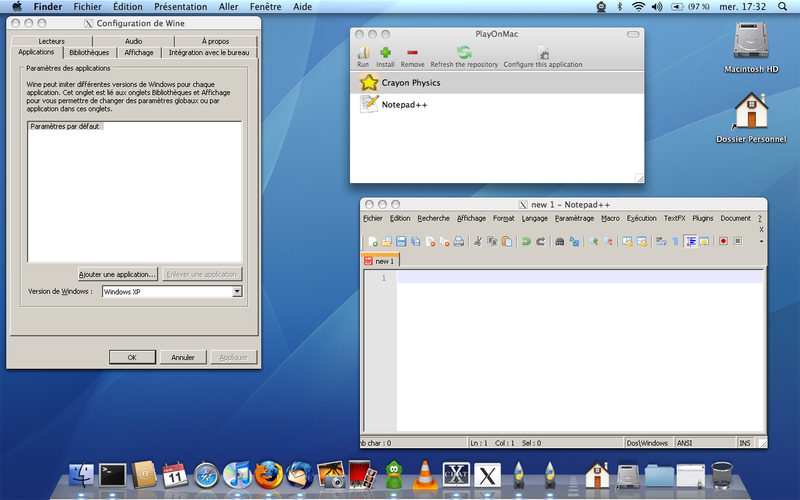 Darwine 1.1.5 (Wine compiled for Mac OS X) is included in the package. Obviously, this list should grow in the future. The repositories are the same as PlayOnLinux's ones. You just have to tick the box saying "this script is PlayOnMac compatible" to integrate a script to PlayOnMac when submitting it. A dedicated forum will be created, feel free to post messages in there to report bugs, tell us your suggestions or ask various questions. Here comes a plugin that some of you have been awaiting for a while! It's a plugin which allows you to backup the whole prefix of an application installed in PlayOnLinux, the version of Wine used with it (it's defined in "PlayOnLinux -> Tools -> Manage Wine versions"), and the launcher of that application. It creates a .pol archive that you can reinstall when and where you want via "Install -> Install a .pol package or an unsupported application" in PlayOnLinux. This plugin should work fine but I will need some feedback. Although it is a beta version it shouldn't cause PlayOnLinux to crash, the worst case scenario being a shortage of hard drive space. Please go to this post to download Prefix Backup and to report the results of your tests. Have a good test and a good backup. Some troubles with the (new) Wine Version Manager? If you are using a release between 0.9.34 and 1.1.14 you can have some troubles with your cursor (fix in progress). If you are using a release between 0.9.47 and 1.1.14 you can have some troubles with the X composite extension. (fix in progress). Update (2009-02-13): Fixed in all affected release. You are a web developer using Linux and you are annoyed every time you have to test your website with Internet Explorer 7? You gave up testing your website with IE7 because it requires you to boot Windows (with your dual boot or in a virtual machine) or worse: you don't have Windows? Form now on, a simple solution exists! Indeed, thanks to Tom Wickline, we are able to provide a PlayOnLinux installation script for Internet Explorer 7. Thus, you'll just have to click on "Forward" a few times to get a functional Internet Explorer 7 (in more than 20 languages) running on your Linux system. Pretty painless, isn't it? For more details (about how well IE7 runs for example), see this topic in the forum. And that's it? Nothing else new? - After the Crayon Physics game prototype, twinoatl made us an installation script for Crayon Physics Deluxe, the full game based on the same concept. - Thanks to the bug reports of rettichschnidi, the installation scripts for Age Of Empires II and Baldur's Gate II have been fixed so they now work correctly with the German versions of these games. Here comes a little bugfix release. - PlayOnLinux doesn't complain anymore about the lack of lzma even though POL doesn't need it. - The Wine versions manager doesn't bug anymore with some specific versions (especially with Wine 1.0). 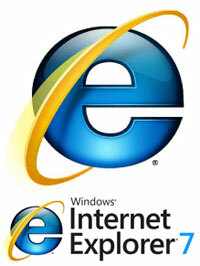 - Various bug fixes for Internet Explorer 7. - Many crypt32 improvements, including new export wizard. - Better support for windowless Richedit. - Improvements to the print dialog. The detailed release note is available on the page of the official announce. As you may have noticed, we have modified the structure of our website. The home page has been reorganized so as to give a clearer idea of what the project is about upon arriving on the website. - The full news are in their dedicated section called "blog"
So feel free to give us your opinion in the comments. P.S: In the same time, we added a section for the NuTyX distribution in the "Downloads" page. 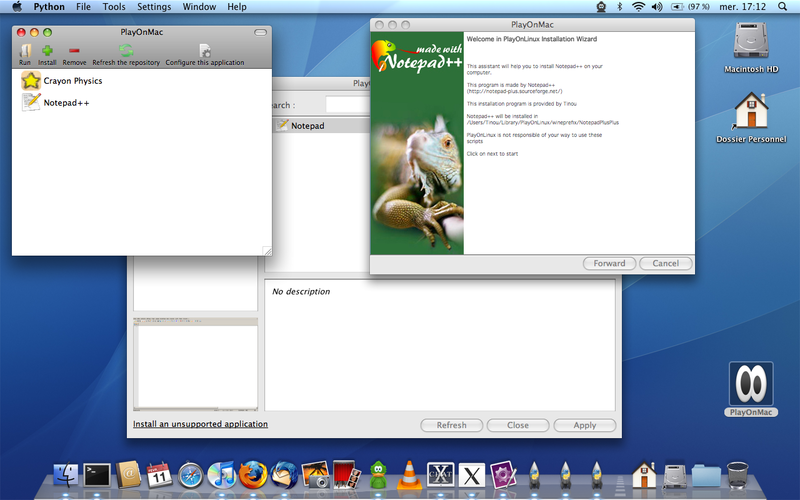 Here's the First version of PlayOnlinux for the year 2009 ! This change allows the use of wine packages that have been intended for PlayOnLinux. This means that we're no longer dependant on the debian repository, which was a source of problems for certain distributions, but on a repository maintained by a member of the team (MulX). Every version works on all distributions using Glibc with a version more recent than the 2.3.6 which should include every distribution that has been out since 2006 (the Glbic 2.3.6 was out on November, 3rd 2005). note 1 : the RC versions don't have the same name anymore; the former manager used a tilde (~) as a seperator (1.0~rc1) whereas now it uses a dash (-) (1.0-rc1). If by any chance an installer still uses a RC version, please let us know so that we'll make the necessary adjustment. note 2 : if you encounter a problem due to the use of a wine package, not a wine bug, but a bug on these packages, please let us know as soon as possible. Message to the packagers : lzma is no longer required !! PS: as a bonus you can even use the 0.9.7 version of wine ! - Many fixes for 64-bit application support. - Improved graphics support in Internet Explorer. - Better certificate manager dialog. - Some simple 64-bit apps should now run. - Support for subpixel font rendering. - 64-bit code generation in the IDL compiler.